Nokia brings a new Handset name Nokia 3310 (2017). The Feature Phone comes with 4 colors, their name Warm Red (Glossy), Dark Blue (Matte), Yellow (Glossy), Grey (Matte). If you want to buy a low price with high Performance Nokia Handset, First check the Nokia 3310 Dual SIM 2017 Feature & specification. Dimension 115.6 x 51 x 12.8 mm (4.55 x 2.01 x 0.50 in). Battery Removable Li-Ion 1200 mAh battery. Battery Stand-by* 744 Hours (*Depends on phone setting, network). Battery Talk Time* 22 Hours (*Depends on phone setting, network). Music play 51 Hours (*Depends on phone setting, network). Thanks for staying with us a long time and visiting Nokia 3310 Dual SIM 2017 Price In Bangladesh & Specification article. 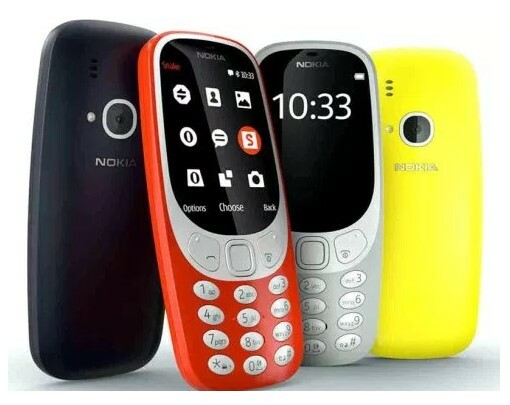 If you have any question or question about the Nokia 3310 (2017) Feature Phone, Just Comment here. We reply as soon as possible with a correct answer.